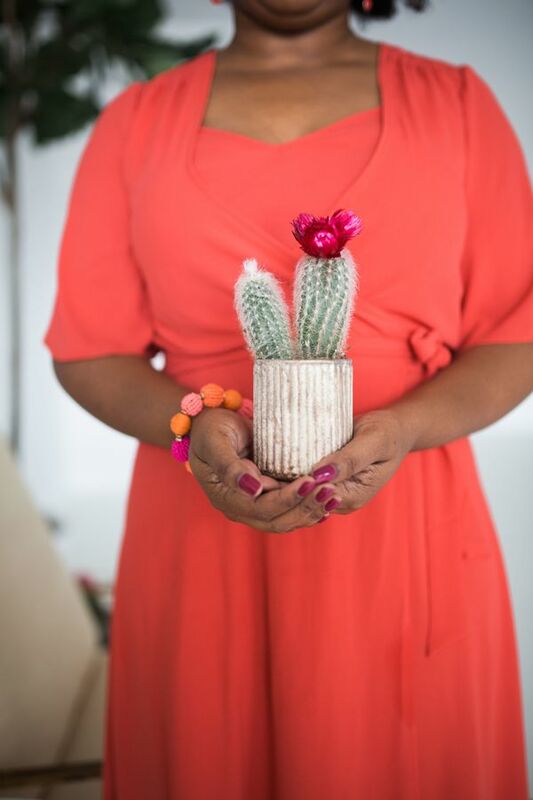 Get your fiesta on with this vibrant color explosion that's just ideal for spring. 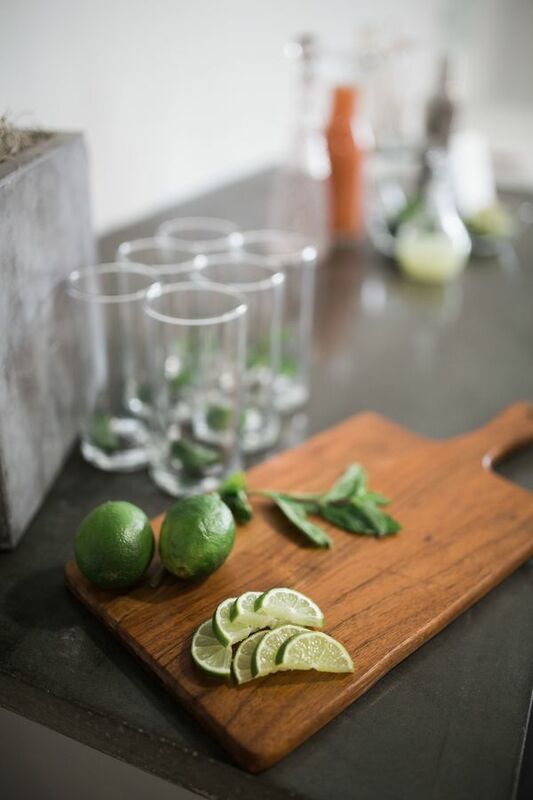 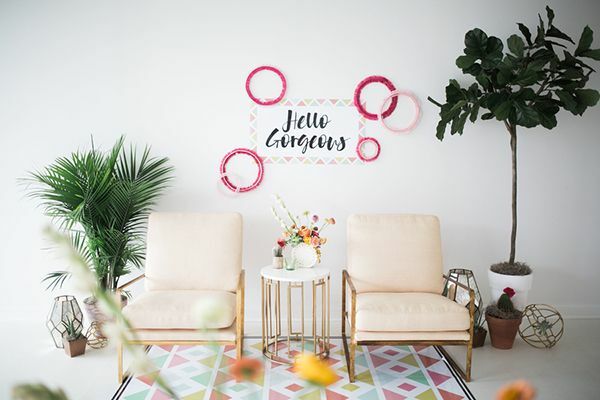 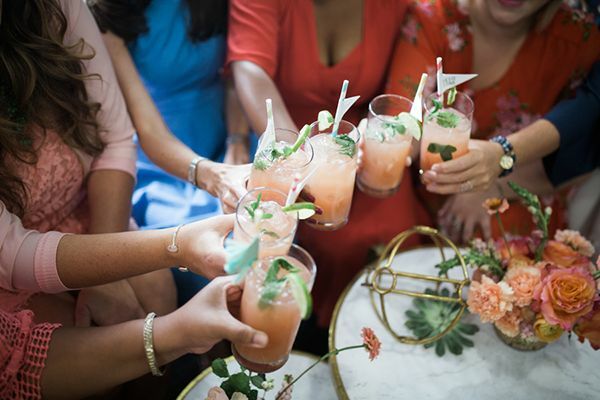 Kelly Anne Photography let us in on this shoot with her exceptional photos and it just puts us in the mood for anything to do with warm weather and springtime (hello, backyard barbecues!). 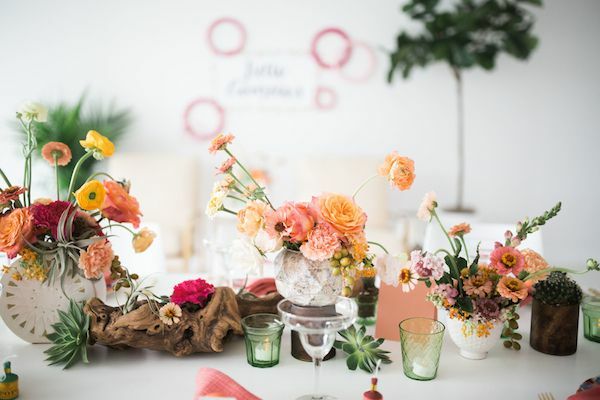 Lemiga Events dressed up the stark white space with shades of yellow, coral, and green and Bold Events followed right behind with some of the most darling ranunculus and tulip creations. 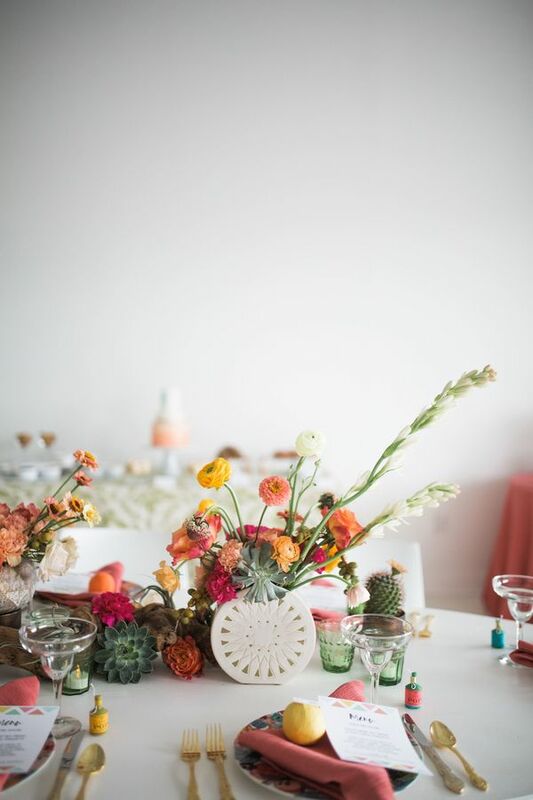 Bonus points for the vases that make their brilliant colors pop out even more. 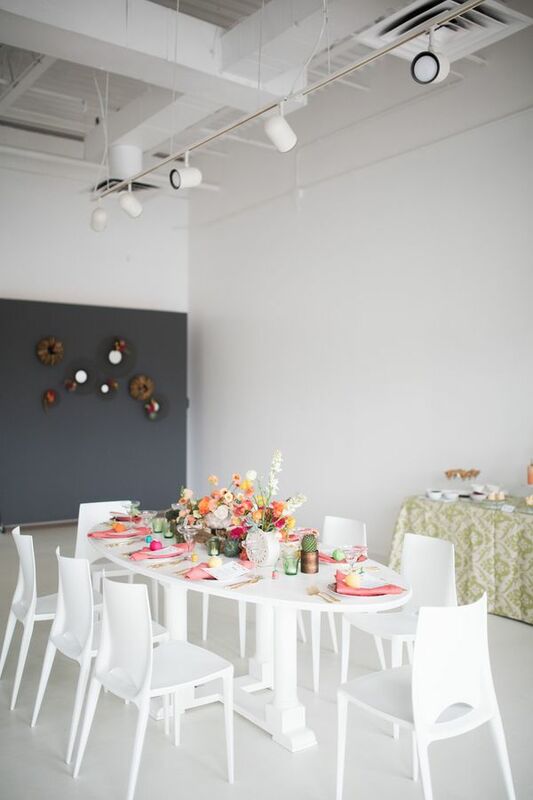 We wouldn't mind getting an invite to this shindig! 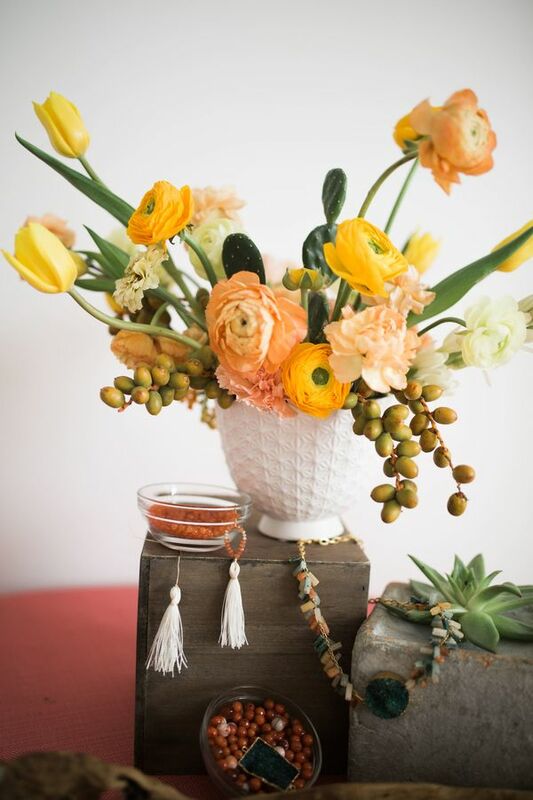 From the planner, "Spring is almost here! 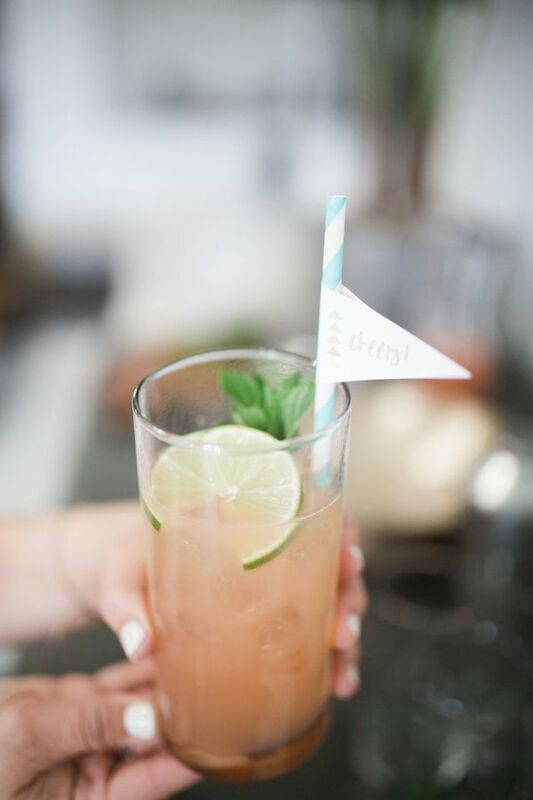 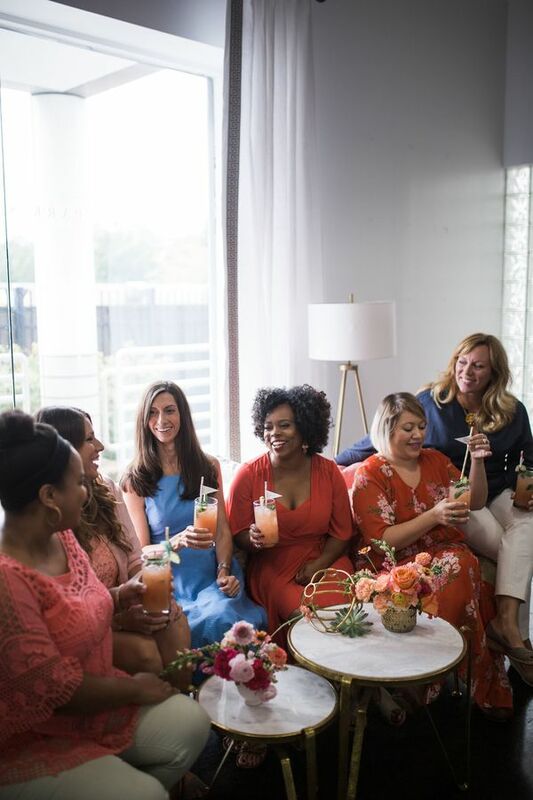 What better way to celebrate than with an afternoon of fun, food, and cocktails with your friends? 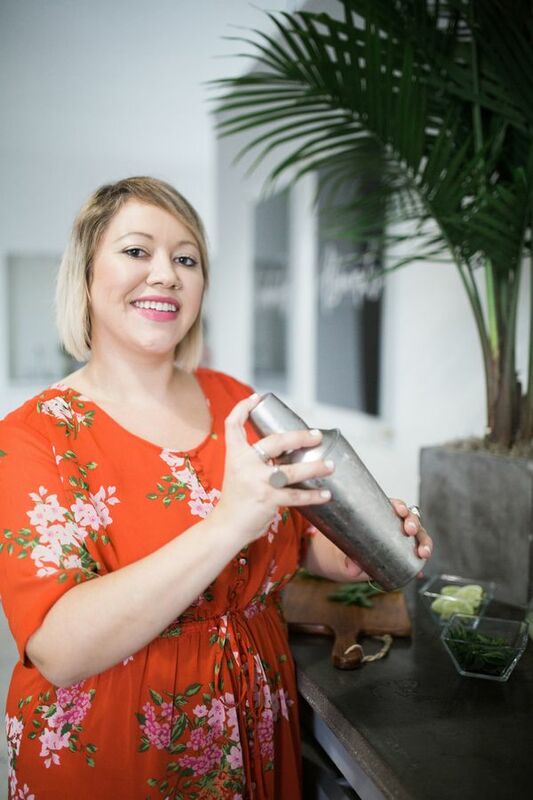 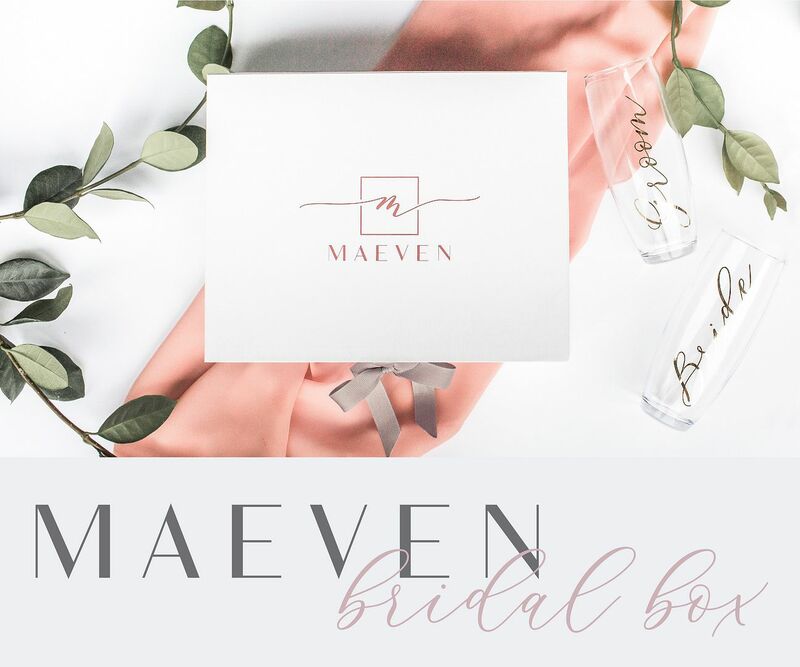 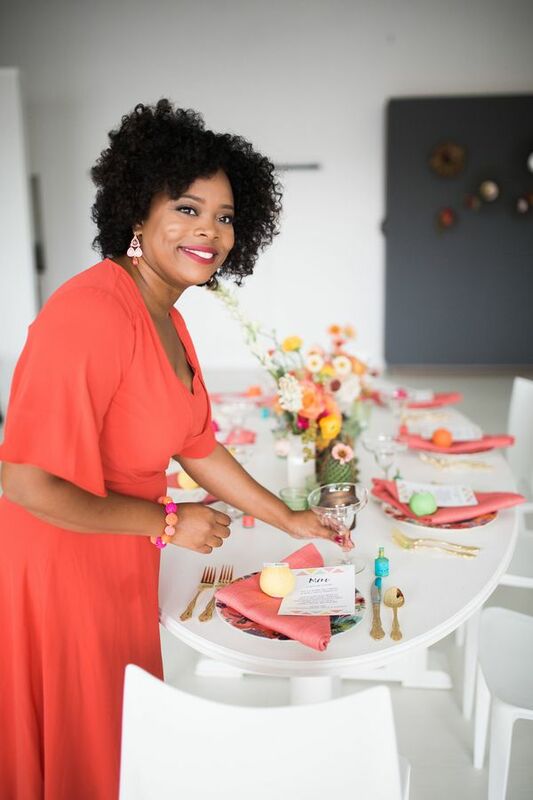 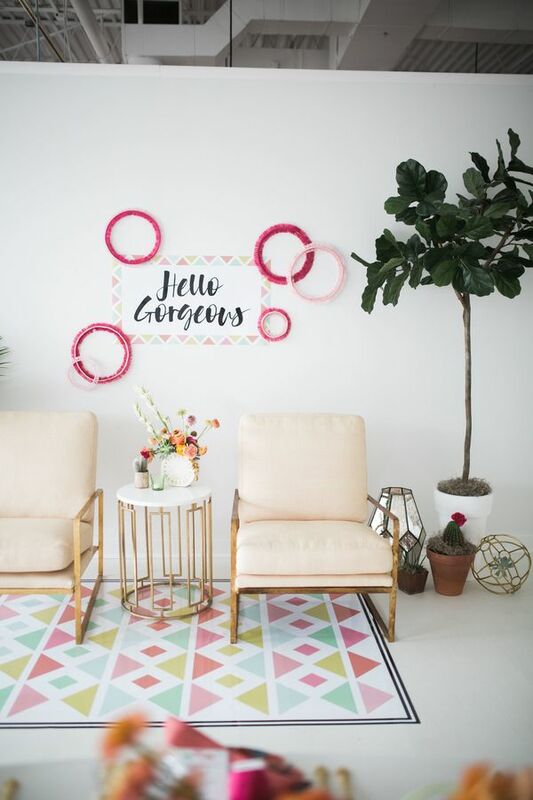 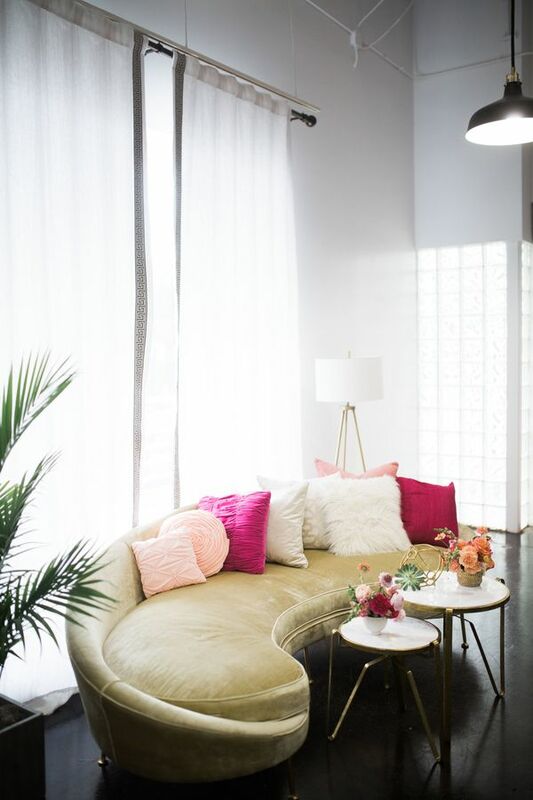 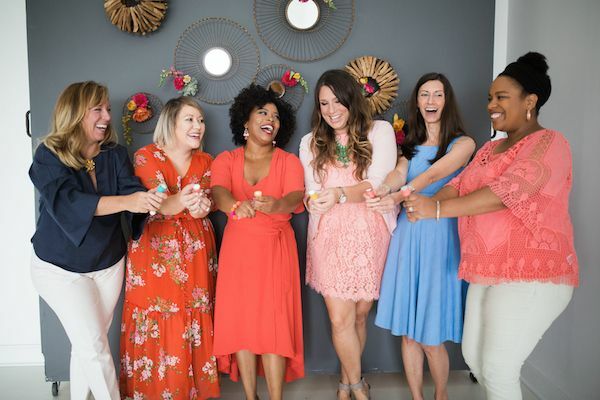 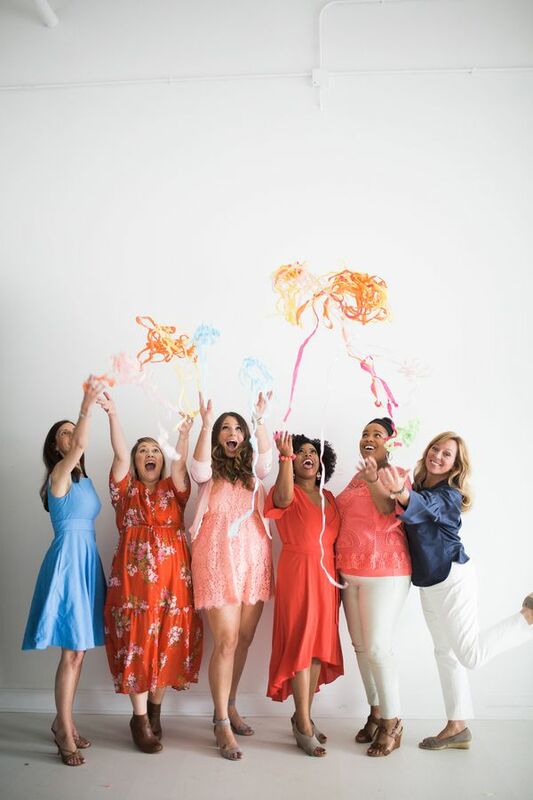 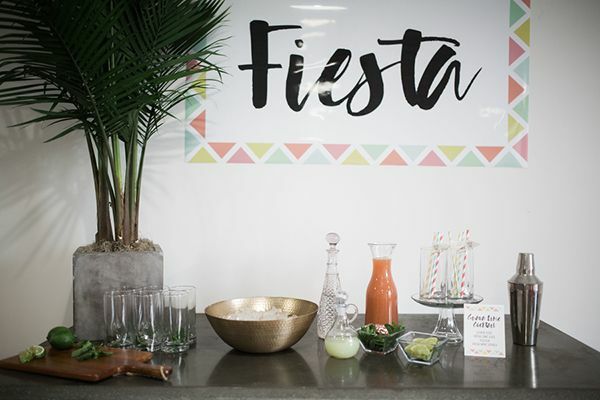 This Spring Fiesta concept is perfect for a bridal shower, baby shower, birthday party, or any excuse to get together with friends and share a memorable afternoon." 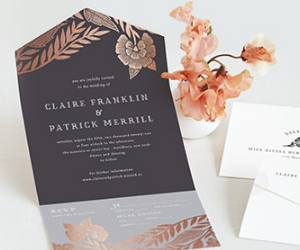 "A great party always begins with the invitation. 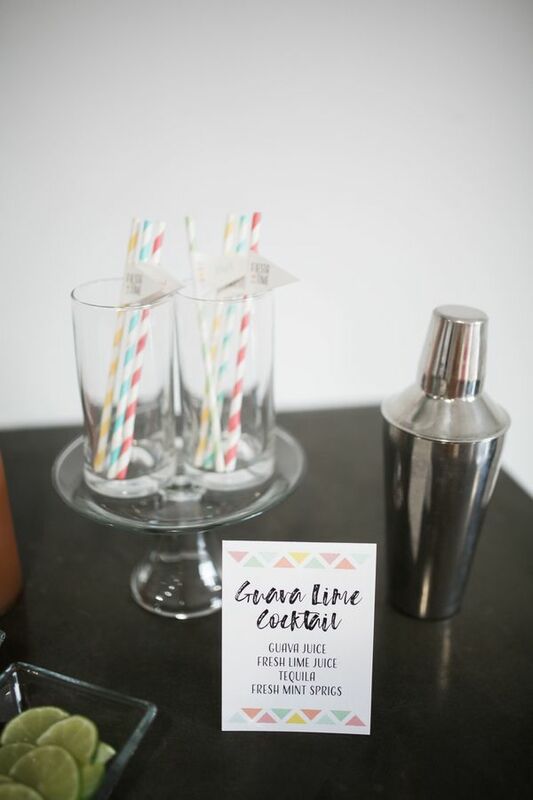 We encouraged guests to bring a creative project to share at the party. 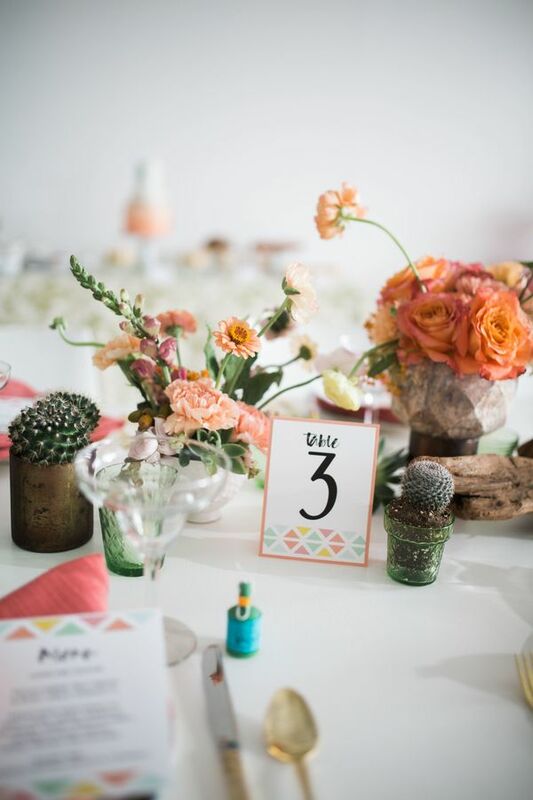 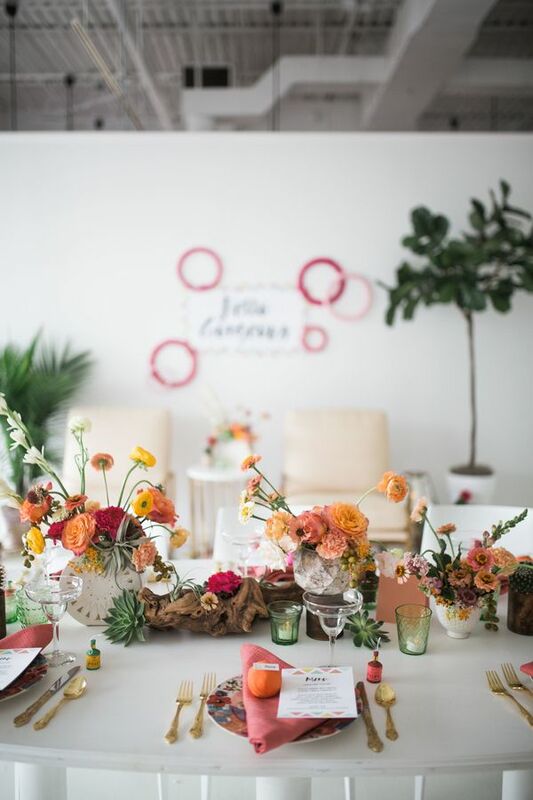 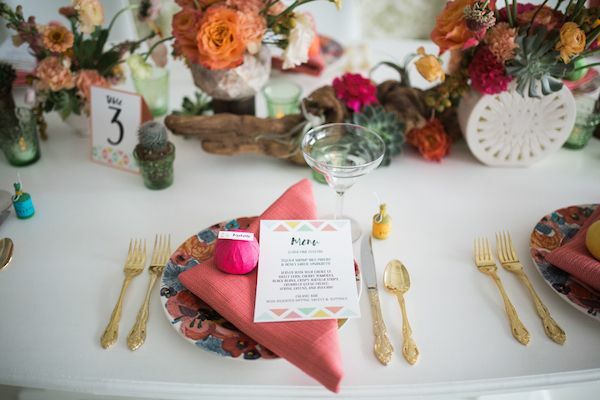 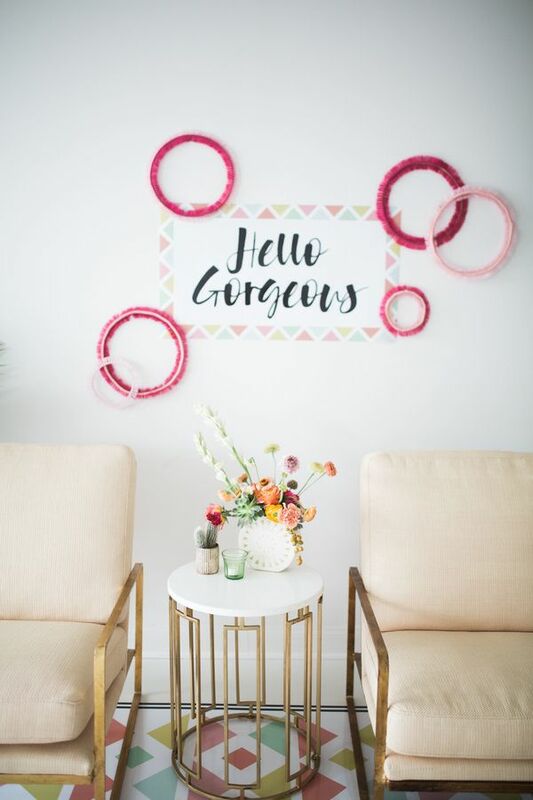 The vibrant party design incorporated shades of yellow, coral, and green." 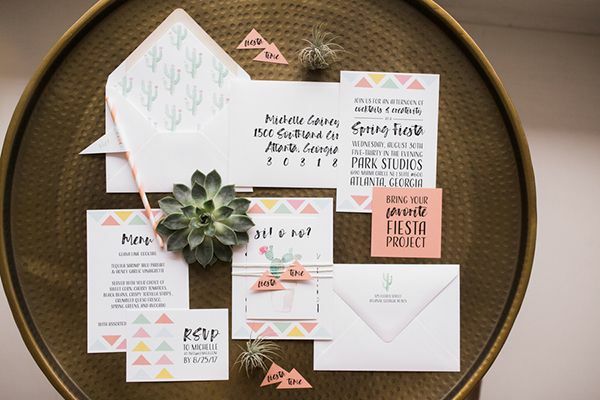 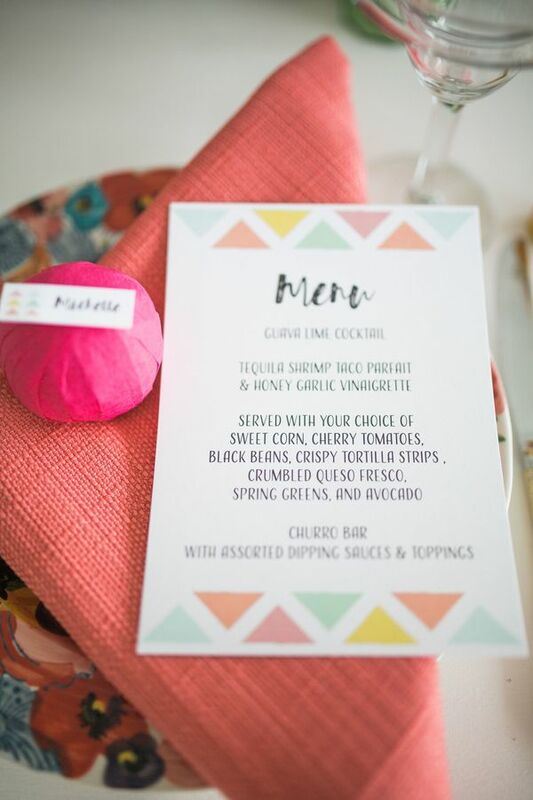 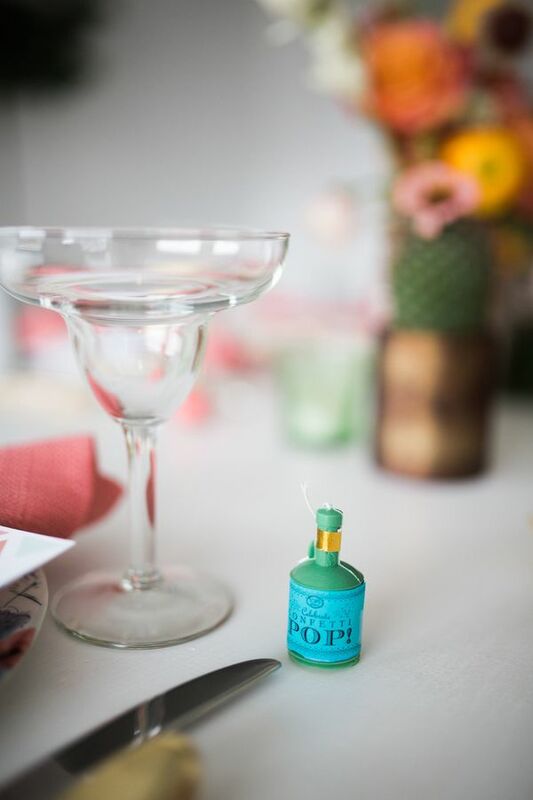 Fun and festive stationery from Tiger Lily Invitations really set the tone for this chic fiesta. 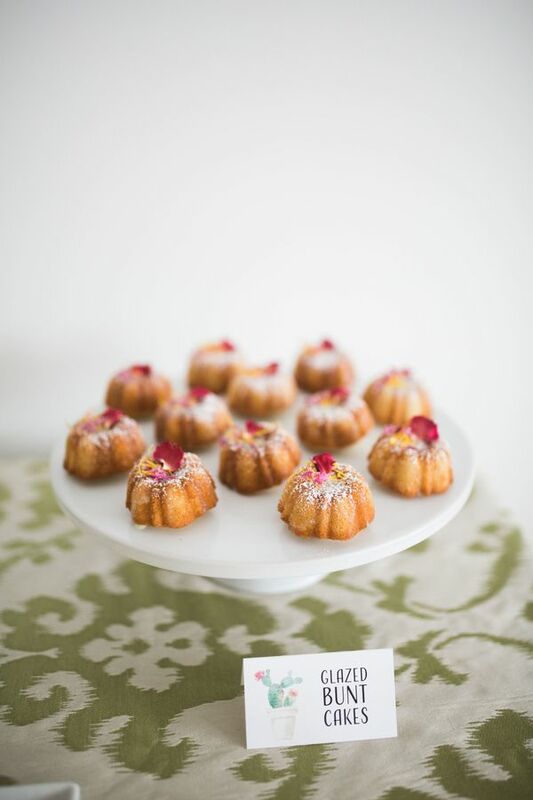 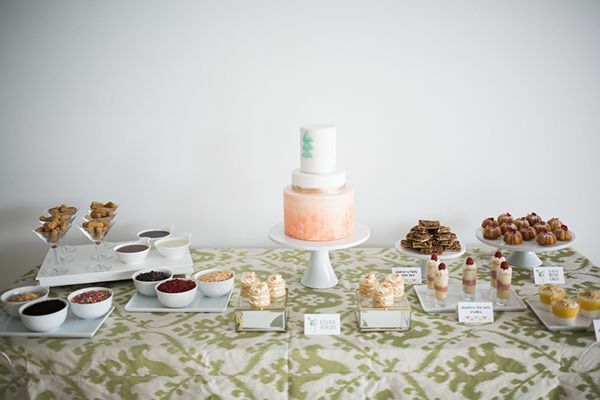 And what's a party without cake and libations, we say? 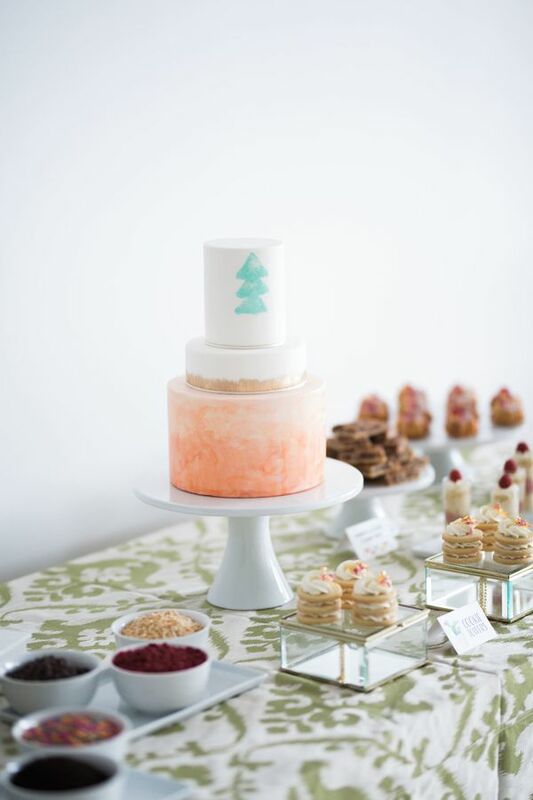 Sweet Details ATL created a really fun, boho inspired cake design. 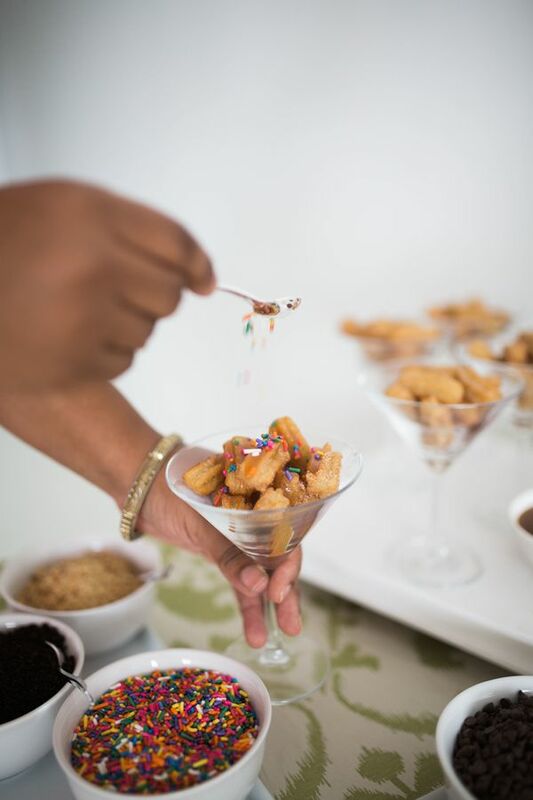 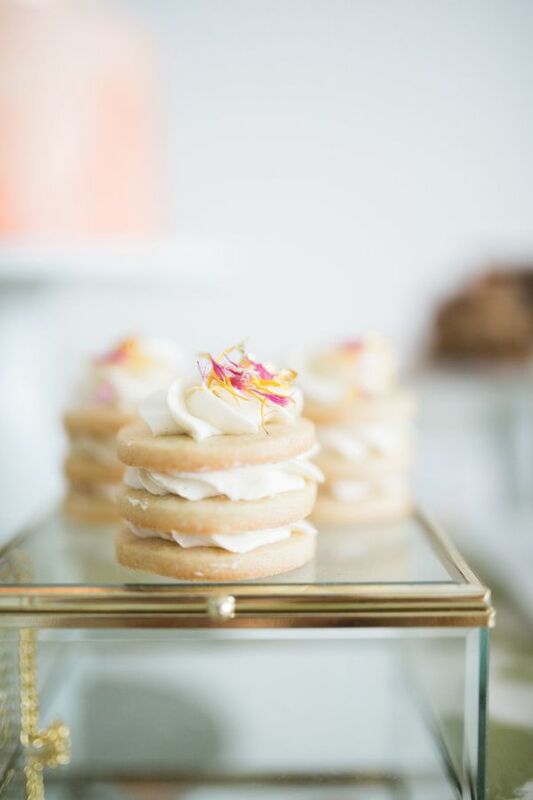 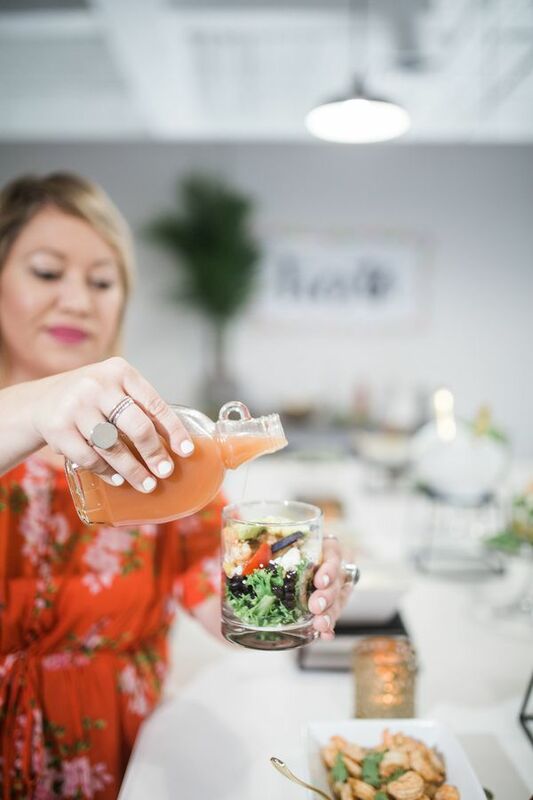 And just look at all the yummy sips and bites from Simply Catering. 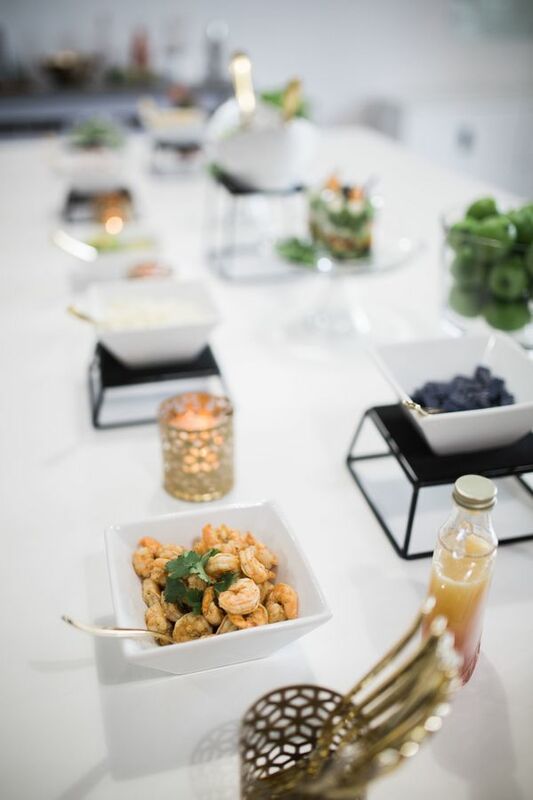 "Lunch included Tequila Lime Shrimp Parfaits and the most delicious Guava Lime Cocktail. 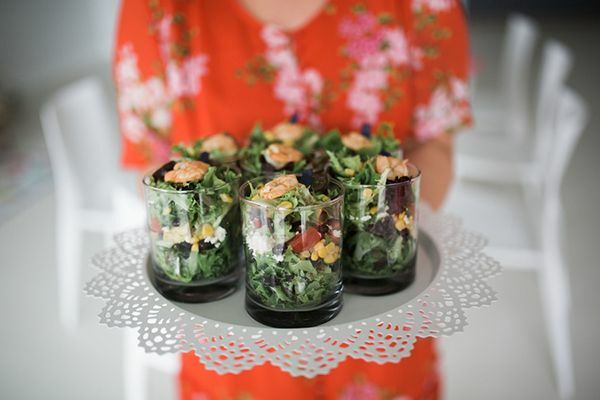 The great thing about the parfaits is having the ability for guests to layer their own ingredients - super easy on the host and alleviates concerns about dietary restrictions." 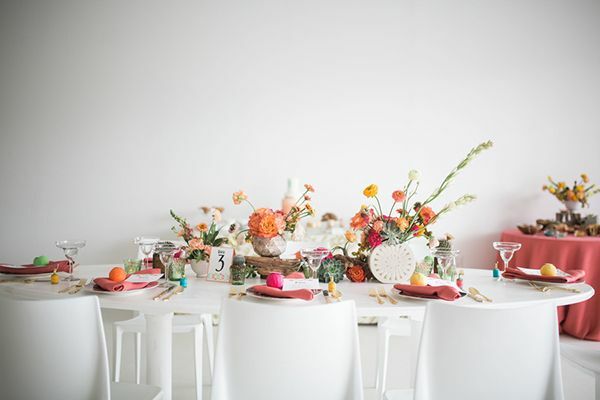 "Guests dined at a white modern table with a desert chic centerpiece. 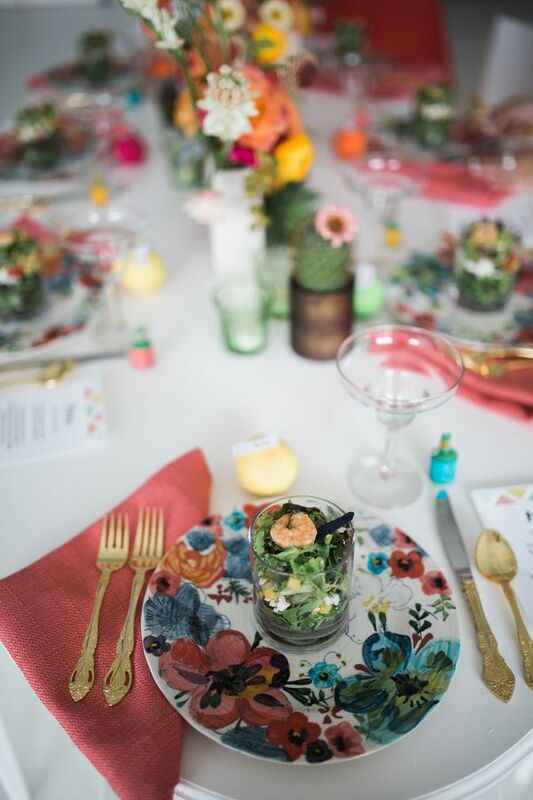 Beautiful floral plates from Anthropologie, coordinating menu cards, and special surprise ball place cards finished the place settings." 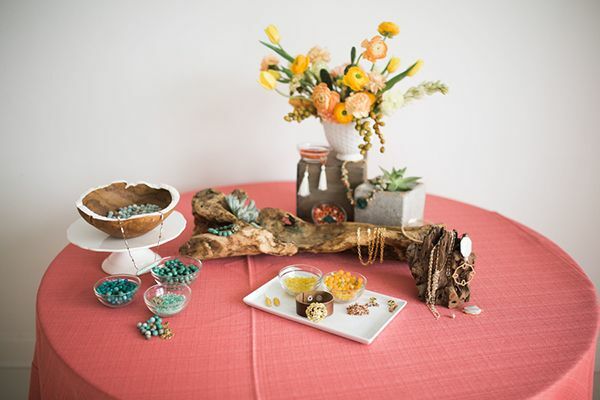 "After lunch, everyone had the opportunity to choose their beads and were led in a jewelry making instruction. 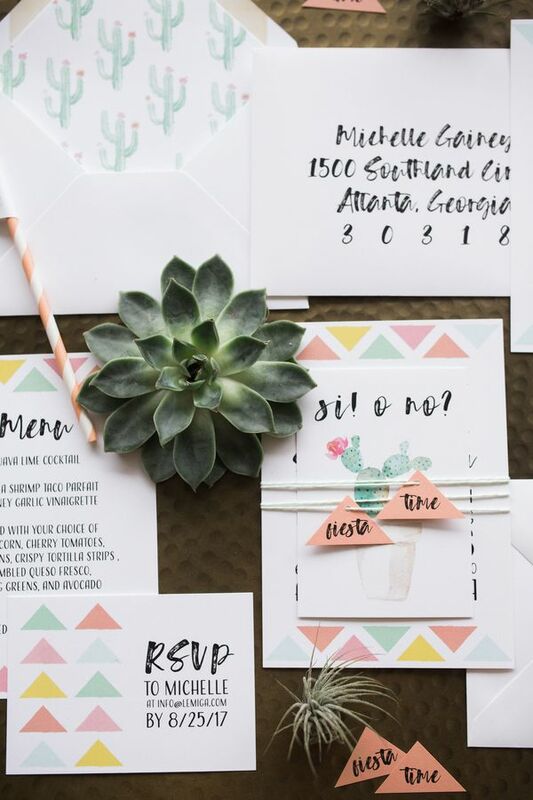 It was a fun activity and a beautiful favor to take home." 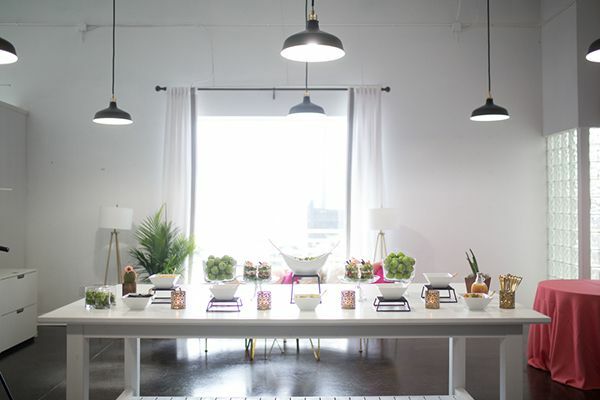 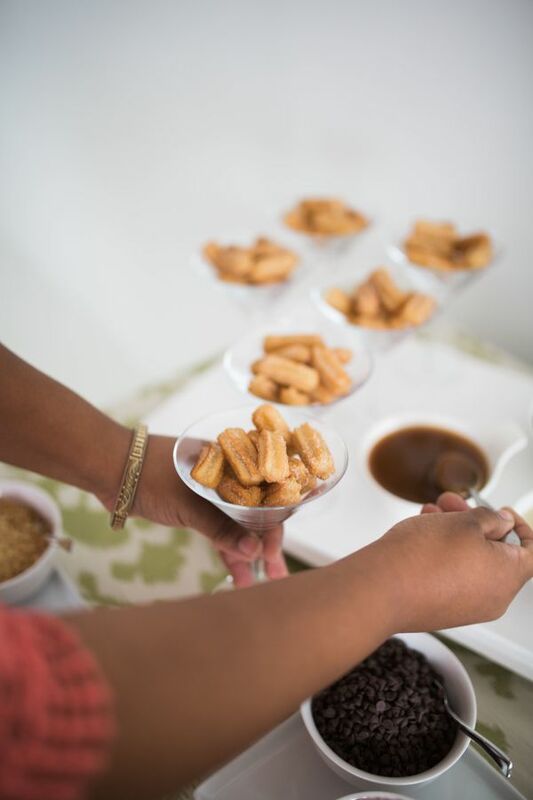 "A decadent dessert bar displayed yummy treats along with a churro bar with an assortment of toppings. 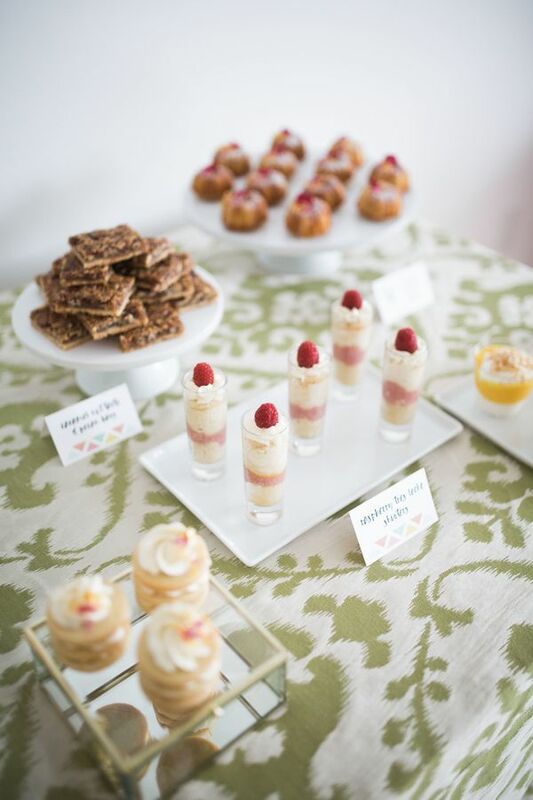 We hung out while enjoying desserts in beautifully styled lounges." 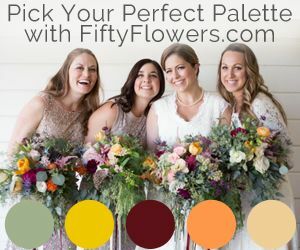 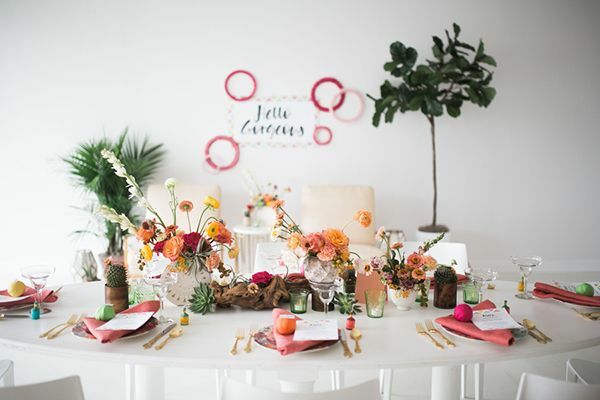 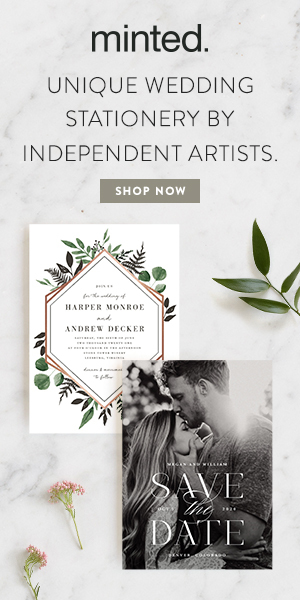 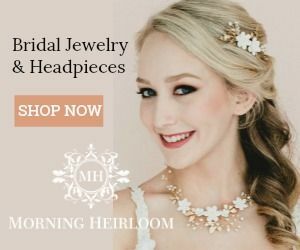 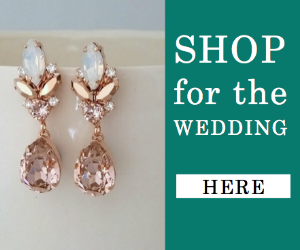 Lemiga Events and Tiger Lily Invitations are members of our wedding vendor directory. 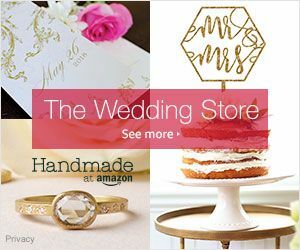 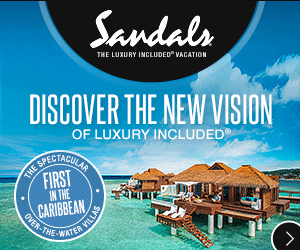 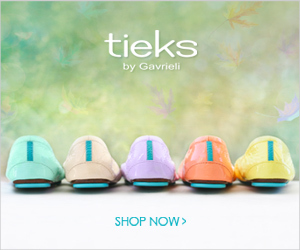 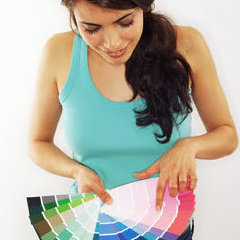 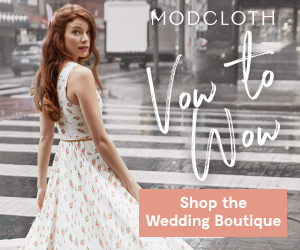 Click here to see how to become a member! 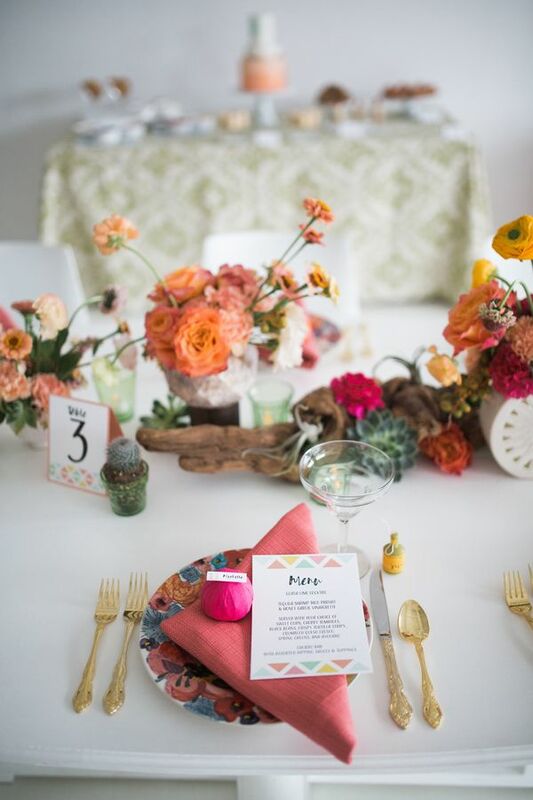 1 One Comment " Fun and Colorful Springtime Fiesta Inspo "